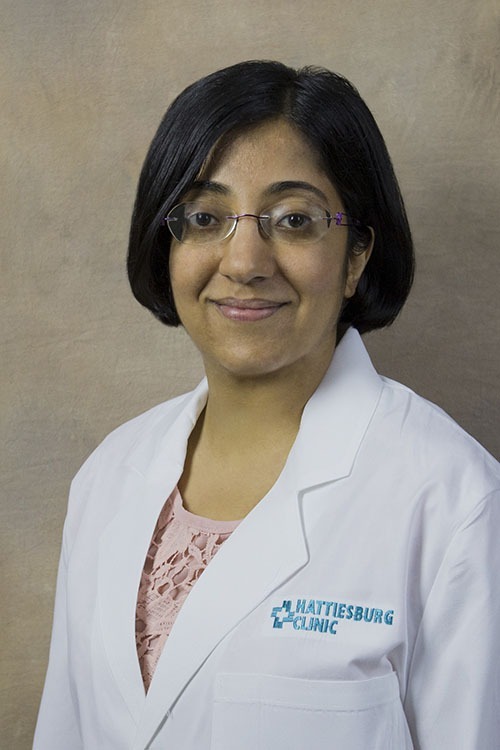 Farah N. Mushtaq, MD, is a physician at Hattiesburg Clinic Endocrinology. Dr. Mushtaq received her medical degree from the University of Nairobi in Nairobi, Kenya. She completed her residency in internal medicine at The Methodist Hospital in Houston, Texas. Mushtaq also completed a fellowship in endocrinology at Louisiana State University Health Sciences Center in New Orleans, La. She is board certified in internal medicine by the American Board of Internal Medicine. At Endocrinology, Mushtaq provides consultation, evaluation and treatment for endocrine issues and disorders.